Would it be great to be able to achieve all the goals you set? And if you seem to be unable to hit certain goals and outcomes why is that? 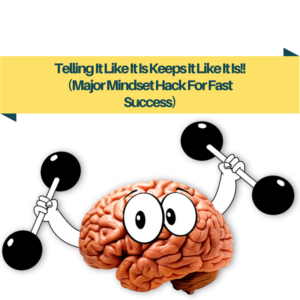 I actually applied this very mindset hack to my own fat loss goals and after spending over a decade of ‘trying’ and ‘hoping’ the fat would come off I actually got it off! It’s quite common for two people to seemingly be doing the same things in their business….yet one gets amazing results, the other does not. Make sure you are the one who gets amazing results, watch the video right away! Thanks for this, James–it opened another window for me.